In this tutorial you will learn how to create an amazing Typography Poster in Photoshop. 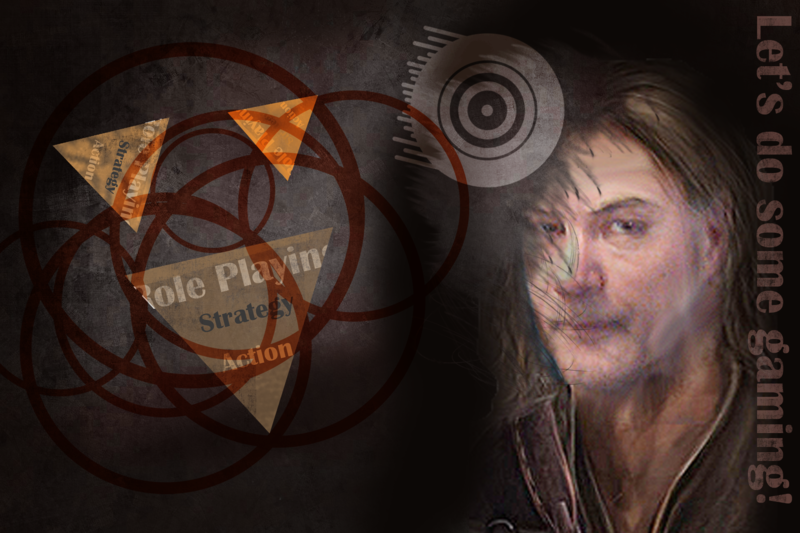 I decided to take this one to another level, and used an image of me that I created for RPG games I play. Also decided to not include all the text, really didn't like the layout. The tutorial for this project wasn't that good at all, and was missing a lot of steps. So for the most part I did what I thought looked right. I also changed out some of the graphics with my own. I'm going to be up front here about charlesnutting.net, this site is in no way connected to me selling a book I wrote, plastering the pages with ads to click on, or in no way making me any money. The whole purpose of this site is to show people things I love to do, display my photography skills (or lack of), and experiment with new web technologies. This site was created and is maintained by Charles Nutting, a web developer currently working at Turning Technologies in the Marketing department. Charles has been creating websites since 1991, and started programming as an Electrical Designer in 1984. He has worked at Mogul, Allen Bradley, B.F.Goodrich, Philips Electronics, Warner Swasey, and currently at Turning Technologies in downtown Youngstown, Ohio.